Last year we introduced the first Menu chair ever. A beautiful and simple, three-legged one, designed by Stockholm-based Afteroom. The chair proved to be one of our most popular designs from the Spring 2013 collection, so for Fall 2014 we’re adding another chair to the line up: The Afteroom Barstool. The same innovative and clean design as the Afteroom Chair – but with longer legs. 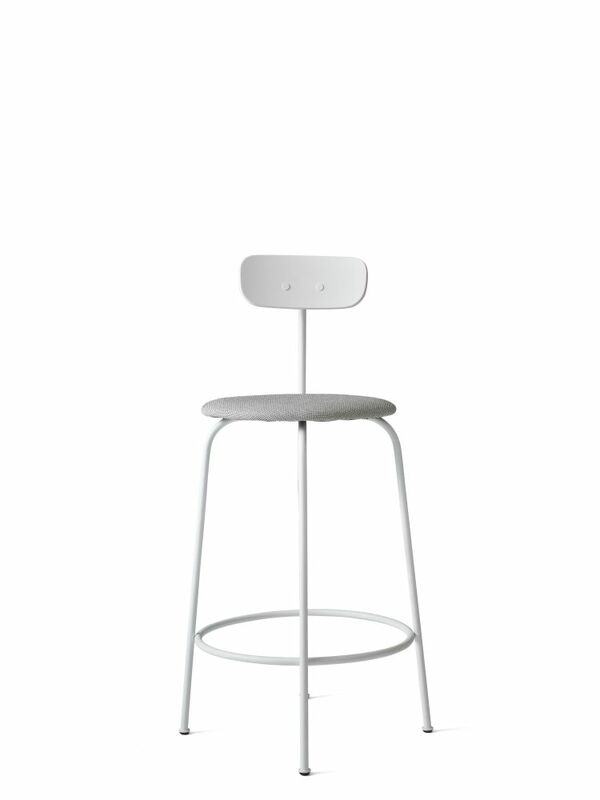 The tall Afteroom Barstool is perfect as an extra chair in the kitchen, as the beautiful front row of a bar area, or as the new and striking chairs in the office waiting room. The chairs are both light, comfortable and durable. Hung-Ming Chen and Chen-Yen Wei get their inspiration from an interest in forms, senses, proportions, materials, and cultures. With a clear and non-compromising aesthetic vision, they take the meaning of simplistic design to a whole new level. “The Afteroom Chair and Afteroom Barstool are a homage to Bauhaus and functionalism. The simplicity of its design combined with the quality of materials is what’s important. We embraced the challenge of designing something minimalistic with clean lines, without in any way compromising its comfort. In that sense we’ve ended up with classic Scandinavian features".